Are you planning a ’round the world trip and don’t know what to pack? Do you have a backpacking trip coming up but don’t have a backpack? Do you want to travel indefinitely and don’t know where to start? We’ve got you covered! 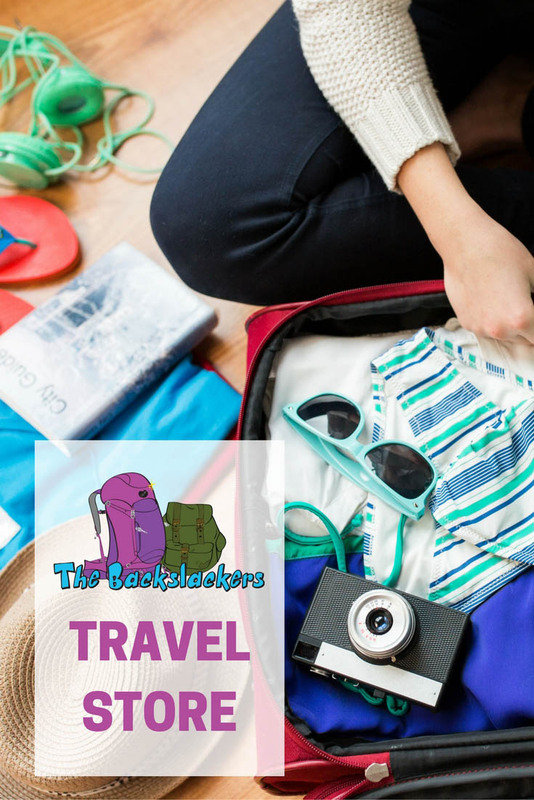 The Backslackers’ Travel Store is the ultimate one-stop shop for your backpacking essentials. We have recommendations for the best backpacks for backpackers, guidebooks for your next trip, and other packing essentials you won’t want to leave out of your backpack. Be sure to check out the backpacking gear below before you buy your next ’round the world ticket! Every backpacker needs a good backpack. But which one is right for you? Amy thinks BIGGER is BETTER but Zach takes a more minimal approach. Here are some of our favorite backpacks, for whatever your packing style is. You’ve found the perfect backpack to fit your needs. Great! But what goes in that backpack? We know it’s tough to decide what to pack for your long-term travels, so we’ve narrowed down some of our favorite travel acccessories. When you’re out on the road, far from home, in some remote part of the world, the last thing you’ll want is to be unplugged. Here are some suggestions for travel electronics and technology you won’t be able to live without when traveling around the world. More travel essentials that should definitely be in your backpack. Don’t ever leave home without these. Need help packing for your next trip? Here are some articles on how to pack for long-term travel.